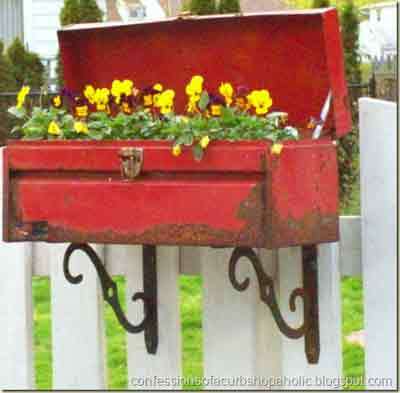 Got a rusty old toolbox that has seen better days – turn it into a quirky planter and either fix it to the garden wall on brackets or turn it into a window box. We found this one at www.confessionsofacurbshopaholic.com. You’ll need to drill some holes in the bottom for drainage if you are planting it up. Or how about recycling the tool tray from your toolbox? 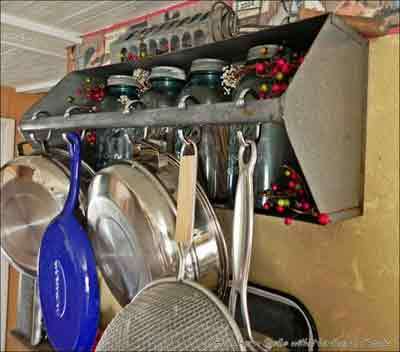 We found this on www.asouthernbellewithnorthernroots.com and they can be used in all rooms in the house for any number of storage uses!